The money being vastly inadequate even as a short-term plug. The interruption of hard won trade relationships would be disruptive and possibly hard to resume in the long term. The destabilization of the farms would make them unattractive to lenders upon which they depend. Farmers for Free Trade, a nonprofit advocacy group backed by the American Farm Bureau Federation and major commodity groups like the National Pork Producers Council, is investing $2.5 million in a four-month ad campaign to show the pain caused by Trump’s new trade policies. Farmers for Free Trade formed last year in response to Trump’s potential withdrawal from NAFTA and other administration trade policies. Farmers for Free Trade will also deploy digital and print advertising along with town hall events starting during the August congressional recess. Just when Trump “rages against reality” by demanding that his family, let alone his staff, adhere to the rule that Fox is the only source of approved news, the farmers are bringing their inescapable truth directly to the president where he lives. US farm exports, which enjoyed their third-best year on record in fiscal year 2017 according to US Department of Agriculture Secretary Sonny Purdue, are key to the sector’s profitability. 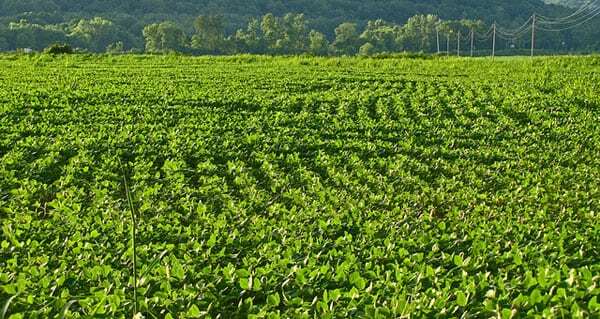 Those profits are now under threat after China imposed tariffs on US soybeans and other farm products in retaliation for US tariffs on Chinese manufacturing goods. Trump’s recent $12 billion emergency relief package for farmers includes direct payments to farmers, purchases of agricultural commodities for food-aid programs, and stepped-up promotion of new export markets. National Review reported that the aid will come from the Commodity Credit Corporation, a depression-era program that can borrow $30 billion from the US Treasury without the approval of Congress. Not known for resisting subsidies, farmers are taking issue with this bailout. Government relief is not nearly enough to fill the gap that this emergency of Trump’s own making is creating. While some farm groups applauded the handout, many took it as confirmation that the White House has no intention of calling off its trade war anytime soon. After all, if the president were on the brink of a breakthrough with China, he wouldn’t feel compelled to funnel such large subsidies through an obscure New Deal–era program. On Tuesday, the American Soybean Association demanded a “a longer-term strategy to alleviate mounting soybean surpluses and continued low prices, including a plan to remove the harmful tariffs.” That sentiment was echoed by other agricultural lobbies, including the recently formed Farmers for Free Trade—which is preparing a $2.5 million campaign against the president’s tariffs.